How Do You Celebrate the Louvre Pyramid’s 30th Birthday? OPTICAL ILLUSIONS!!!! In celebration of the 30th anniversary of IM Pei’s Louvre Pyramid in Paris, France, artist JR created a large-scale collaborative art piece, titled ‘The Secret of the Louvre”, that takes up the entirety of the Napoleon Court. The reason for the Pyramid’s creation was to ease down the congestion from museum’s thousands of daily visitors. The artwork was made with the assistance of 400 volunteers, resulting in the aforementioned optical illusion of Pei’s pyramid sinking into the ground. 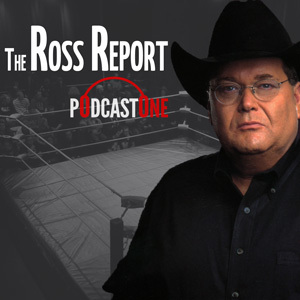 Recently, Shawn Michaels was a guest on Jim Ross’ podcast, The Ross Report, and at around the forty-minute mark he revealed in the interview that the decision to end The Undertaker’s undefeated WrestleMania streak — which I may of may not have ranted and resolved already… — was made roughly four hours before last month’s WrestleMania 30 program went to air. Michaels stated that at the end of the day, the final and absolute decision came down to WWE owner and chairman, Vince McMahon. Ross himself stated that he “wouldn’t be surprised if the decision for The Streak to end did not happen at the eleventh hour. Or the weekend of,” with Michaels confirming that is was “four hours” before that show began.